Casket Hinges are generally 2 inches in length or shorter. Casket Hinges are most commonly used on caskets, wooden boxes & etc. 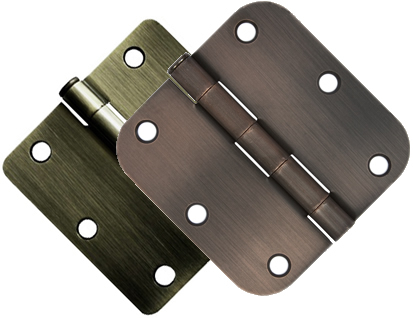 It is a hinge with two rectangular metal plates with screw holes joined by either a pin or rod. Casket Hinges are most commonly used in multiples of 2. Most casket hinges found in the U.S. are made of steel, although Casket Hinges for exterior doors are often made of brass, stainless steel, or aluminum to prevent corrosion. 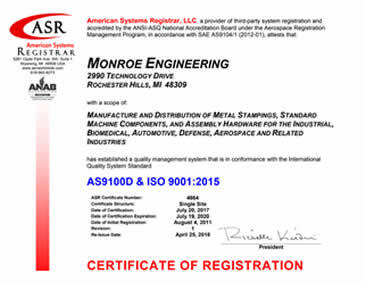 Monroe Hinge & Stamping Company is ready to work with you on developing the right casket hinge for your application. All of our casket hinge projects start with a question, a print or a sketch. We are ready to provide you with the support your need to complete the design and manufacturing and delivery of hinges for your project. Are you looking for Casket Hinges?